This has been a banner year for books on beer and booze, folks, with more and better new releases than I’ve yet witnessed in 23 years of this beverage writing gig. In fact, there are simply too many to review each one, even with my oh-so-clever “Three Bottles and a Book” idea from back in the early summer, or my not-nearly-as-clever “A Big Batch of Beer Books” concept from October. 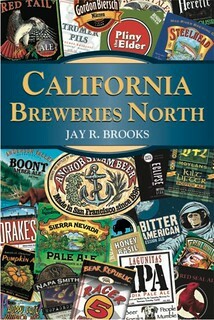 I’m not even going to feign impartiality when it comes to reviewing California Breweries North by Jay Brooks. First off, Jay is one of my oldest friends in the beer world. We’ve eaten together, drank together, travelled together, I’ve stayed at his house and he even hauled his entire family across the continent to attend my wedding reception five and a bit years ago! Secondly, I contributed a quote for the back cover of this very book. So let’s instead just look at the facts and figures of this paperback. It has 406 text-dense pages. It covers 161 breweries from the Central Coast north to the Oregon border. Jay logged literally thousands of miles researching it. And even though it lacks the critical evaluations I just two days ago was complaining were absent from Joe Wiebe’s book, I can’t fault Jay for that, since it is the established style of this series of Stackpole beer guides to offer a single stand-out beer, known as “The Pick,” rather than rate and review multiple brews. For the northern California traveller, it is arguably of slightly less utility than is last year’s Northern California Craft Beer Guide by Ken Weaver. For those interested in the state of northern California brewing today, however, it is indispensable. In fact, I would go so far as to say that the two editions complement each other nicely, with California Breweries North being the one to consult when deciding what brewery to visit and what beers to drink, and the Northern California Craft Beer Guide being the one to keep in the car. 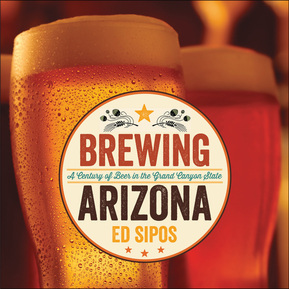 A couple of months ago, I received a preview copy of the galleys of Brewing Arizona by Ed Sipos. Knowing the book itself wouldn’t appear until the fall, I flipped through its pages at leisure, surprised to find that brewing in the state dates back much further than I would have imagined. Then, a week or two ago, the final, finished book arrived. And it’s a doozy, hard-backed, full colour and 360 pages long. In terms of weight and gravitas, it exceeds even the gorgeous new Boutique Beer by Ben McFarland (a review of which is forthcoming). All that for a book about brewing in Arizona? Forgive me, but really, in terms of the global impact of a state or province or district, Arizona really isn’t up there in the top tier. That said, Sipos’ research appears to be remarkably thorough, and at times reveals some very surprising facts. I had no idea, for instance, that Arizona craft beer pioneer ‘Electric’ Dave Harvan stopped brewing in 1993 not because his brewery went bust, but because he was busted for possession and sale of marijuana. And neither was I aware that Arizona’s most notorious “craft” beer, Ed’s Cave Creek Chili Beer – you remember, the one with the chili pepper in the bottle that I don’t think anyone ever bought twice for themselves – enjoyed a brief status as a cult beer in Japan. The book is also well-illustrated, which occasionally presents some problems. On page 168, for instance, we are shown a photo of the original Electric Dave Brewery and told in the caption that it was confiscated and destroyed by the BATF, but it is not until page 177, in a different chapter, that the full story is told. Displaced photos aside, this is a remarkably thorough and mostly well-written history. Whether or not you will find it worth the $39.95 price tag will depend entirely on your degree of interest in Arizona’s brewing past and present. Launching The Pocket Beer Guide 2014 – Dates! Places! Beers! 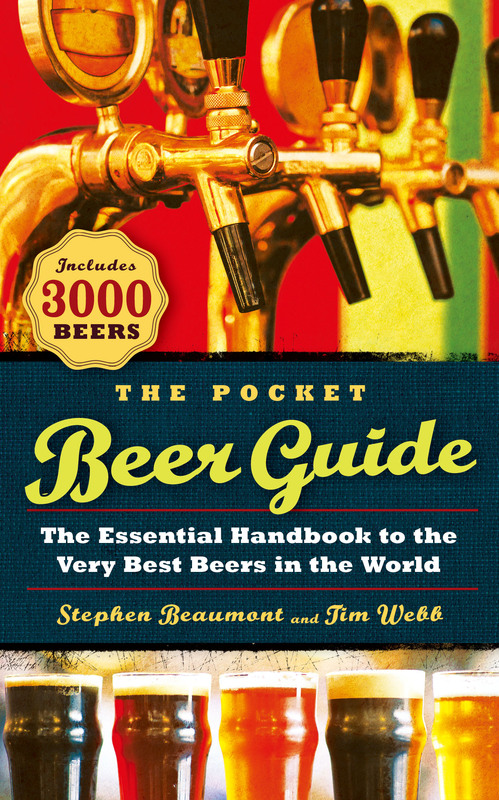 The Pocket Beer Guide 2014 will finally be hitting stores next month! 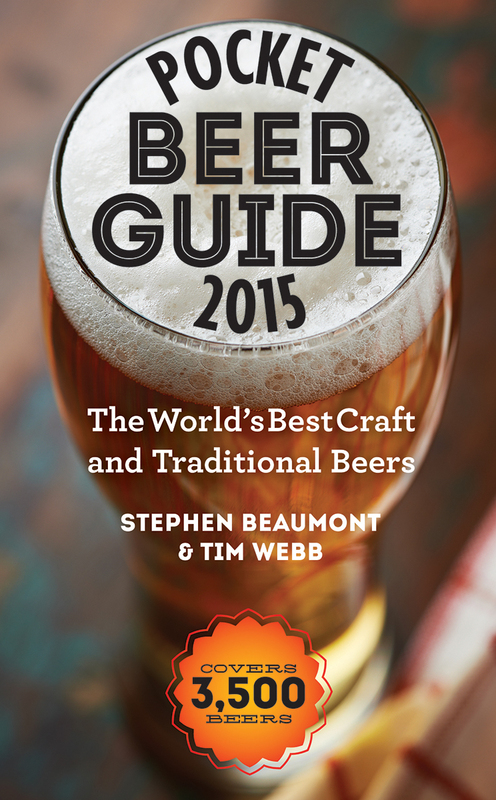 (In the UK, it’s The Pocket Beer Book 2014, and seems to be already in some stores and on Amazon.) To celebrate and promote this fact, I’m going to be hitting the road with tastings, dinners and signings at various locations across Canada and the United States. Here’s the list and I hope to see you somewhere along the way! September 5, Victoria, British Columbia: I’ll be joining fellow beer scribe Joe Wiebe for a signing and chat at Spinnakers Gastro Brewpub from 6:00 pm onward. As a bonus, Spinnakers will be pouring ten beers from around BC, as selected by Joe, author of Craft Beer Revolution: The Insider’s Guide to B.C. Breweries. September 7, Victoria, British Columbia: I’ll be selling whatever books I have left over from the Spinnakers event at the Great Canadian Beer Festival. It’s a sold-out event, but if you’re lucky enough to have tickets, come over and say hello. September 9, Seattle, Washington: I’m going to be hosting a special tasting and book signing at the Burgundian, the latest gem from the makers of Brouwer’s Café and Bottleworks. September 19, Toronto, Ontario: It will be my great pleasure to introduce the Ontario premier of Beer Hunter: the story of Michael Jackson at the Rhino. After the screening, I’ll be signing copies of both The Pocket Beer Guide 2014 and The World Atlas of Beer. October 6, Fort Worth, Texas: I’ll lead a tasting of beer and cheese and chocolate at the Flying Saucer, with a signed copy of the Pocket Beer Guide 2014 included in your purchase price! October 7, Dallas, Texas: We’re going to blow the roof off the Meddlesome Moth with an amazing beer dinner! I’m collaborating with Executive Chef David McMillan and am pretty excited about the global menu we’re developing. I’ll be signing books both before and after the dinner, so even if you can’t make the meal, come out for a pint and pick up a copy. October 8, Garland, Texas: This one is another beer and chocolate and cheese event, at the Flying Saucer on the Lake. Again, your admission price will also get you a copy of Pocket Beer Guide 2014. October 10, Denver, Colorado: Join me and three of my beer book writing friends for “Books & Beer: Meet and Drink with the Authors of 4 Great New Books About Beer” at the Falling Rock. 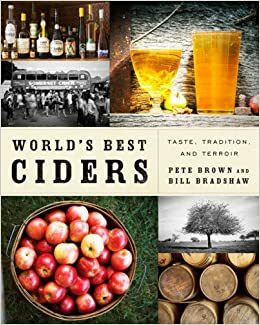 From 4:00 to 6:00 pm, I’ll be signing and drinking with Jay Brooks, author of California Breweries North, Joshua Bernstein, author of The Complete Beer Course, and John Holl, author of The American Craft Beer Cookbook. You should come down and buy all four! October 10 – 12, Denver, Colorado: I’ll be at another sold-out beer event, the Great American Beer Festival, signing books at various times in the festival book store. Check the website for times, and remember, not only does The Pocket Beer Guide 2014 actually fit in your pocket, it can also help guide your tasting on the festival floor! October 19 – 20, Toronto, Ontario: I’ll be at Cask Days, North America’s largest cask ale festival, selling and signing books and hosting two special tastings with details TBC. Check the website for details as they become available.